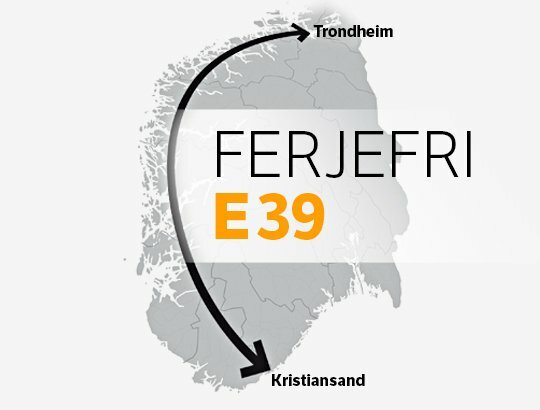 NOK 340 billion is set to transform the E39 into a ferry-free highway connecting Trondheim, Ålesund, Bergen, Stavanger and Kristiansand. 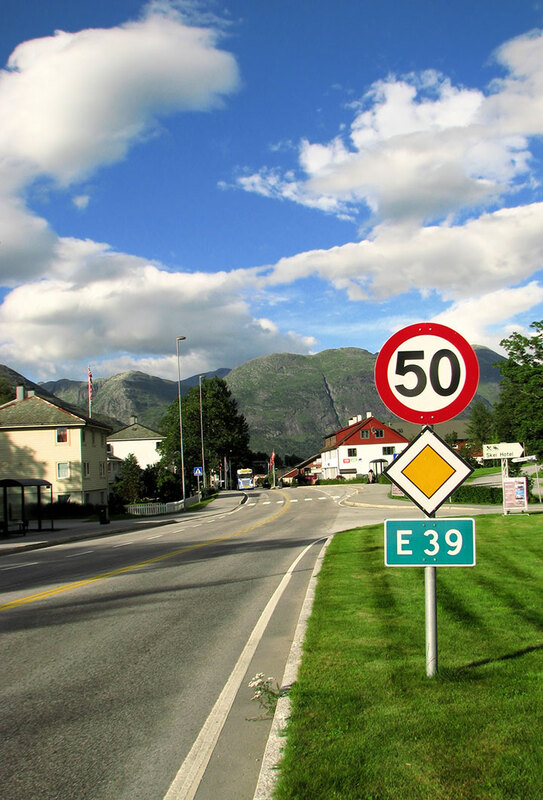 Driving through Norway's western region will become easier in the years to come with a series of improvements to the E39 coastal highway. Of course, those readers outside Norway might have visions of multi-lane interstates but that really isn't the case here in Norway! 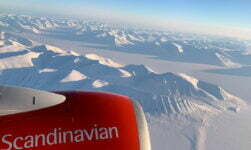 In reality the ‘highway' will be a simple two-lane road through much of its route, albeit with significant improvements in and around cities and when it hits the fjords. Many ferries are in the process of being replaced by tunnels and bridges, with further improvements planned all along the route from Trondheim to Kristiansand. Approximately 1100 km long, the route runs through six counties and fifty municipalities. Travel time today is around 21 hours, and road users need to use seven different ferry connections. 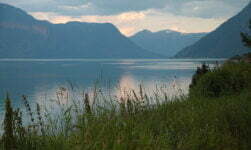 The E39 runs past the eastern edge of Europe's deepest lake at the village of Grodås, close to the border of Sogn og Fjordane and Møre og Romsdal counties. The lake is pictured at the top of this article. Grodås is at the south-eastern end of the 6.5km-long Kviven tunnel, opened in 2012 and an example of the improvements planned for the rest of the route. 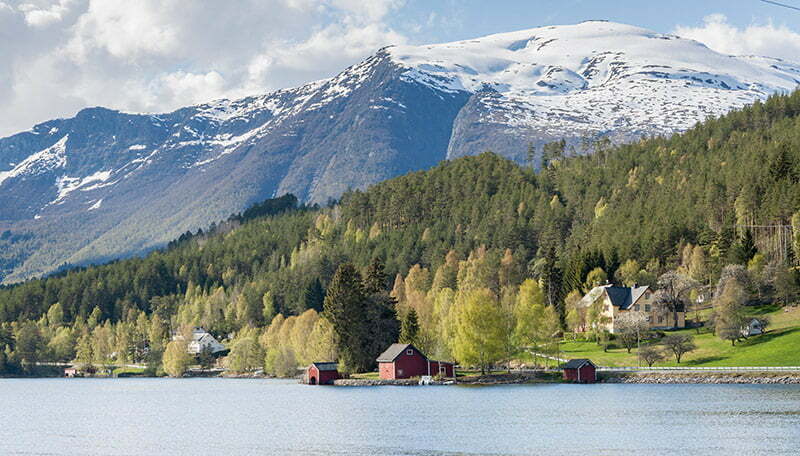 The longest ferry journey on the road takes you on to one of Norway's biggest islands. Stord island has historical importance, interesting scenery, and is a key transport link between Bergen and Stavanger. Many tourists pass through Stord without even realising it on the road from Stavanger to Bergen. 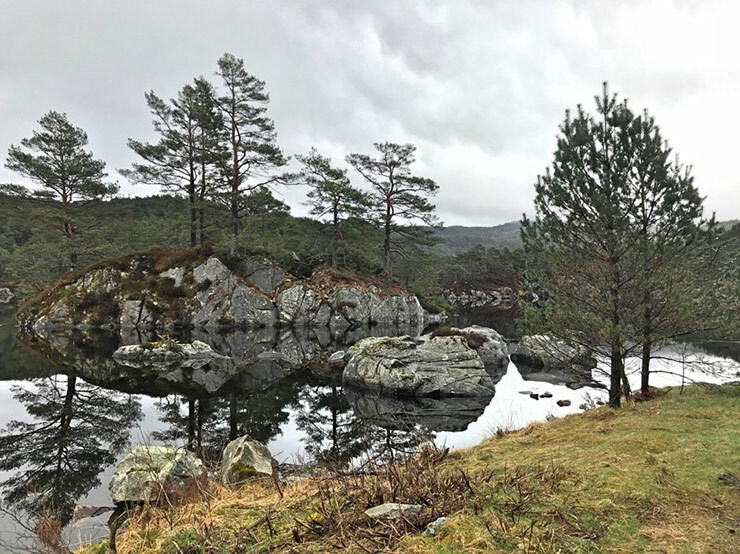 I recently visited the island on a business trip so took time to slow down and find out more about this interesting part of western Norway. Arriving to the island is a treat if you're travelling south from Bergen along the E39 highway, as at present you'll take a 40-minute ferry ride to get there: the Sandvikvåg to Halhjem ferry crossing. The ferry takes all wheeled transport including lorries, public and private buses, and passenger vehicles for the 40-minute journey. A great stop on the last leg of the journey between Stavanger and Kristiansand, Flekkefjord is a picturesque town with an interesting trading history. 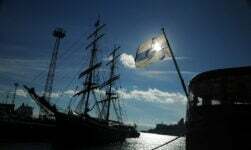 Trading Norwegian stone and wood with the Netherlands in exchange for silver, grains, porcelain, silk, liquor, soaps, and tobacco was a key driver of the town for several centuries. The town's Dutch Quarter in which many of the traders lived has been beautifully preserved. The aim is to build an improved and continuous route without ferries, for the efficient transport of people and goods, both locally and regionally. 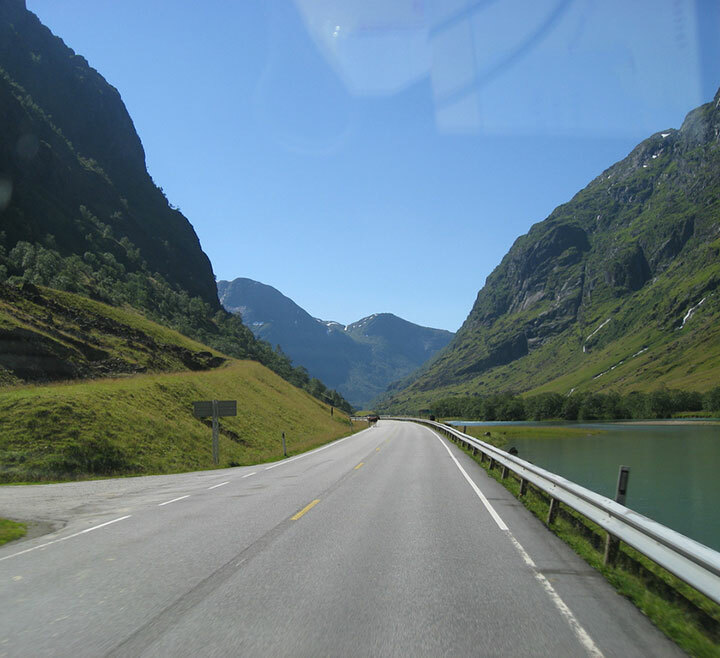 Seven sub-projects have been established by the Norwegian Public Roads Administration (Statens vegvesen) to deliver the project, one of which is solely focused on the technological solutions required to implement the fjord crossings. North of Stavanger, the Boknafjord and Kvitsøyfjord create a vast watery barrier on the way to Bergen. 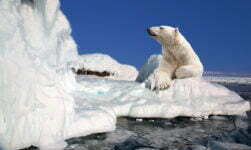 At present the route is bridged by way of a lengthy ferry journey. At 26.7km, the Rogfast tunnel will be the world's longest and deepest road tunnel and will slash the driving time by 40 minutes. It is planned to open in 2026, with tolls to be put in place for the first 20 years of operation. 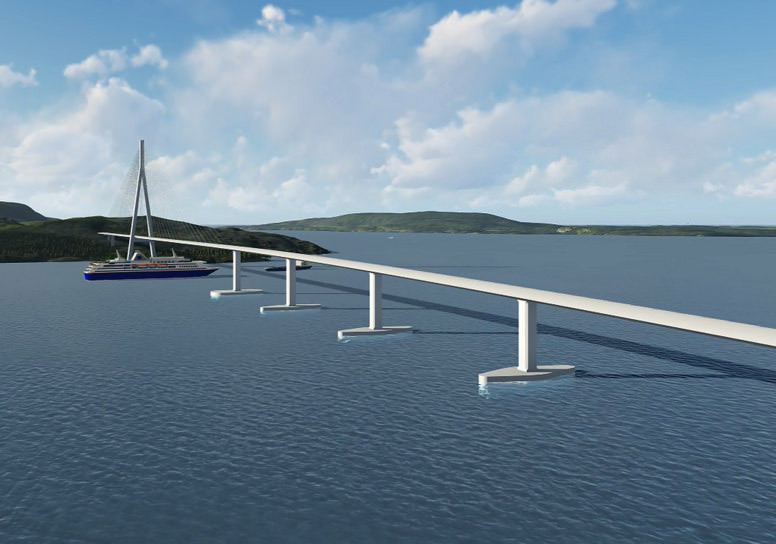 A new 5km bridge across the Bjørnafjord will help to replace the current Sandvikvåg to Halhjem ferry and slash the driving time between Bergen and Stavanger. Two different bridge concepts are being discussed. At the moment the E39 carries a big volume of cars and heavy vehicles through residential suburbs and areas immediately south of Bergen. There is a steep ascent that slows heavy vehicles and congestion is commonplace. The new four-lane motorway will be built mainly through tunnels and cut journey time by 17 minutes. This ties the region efficiently together and will also contribute to more efficient industry. 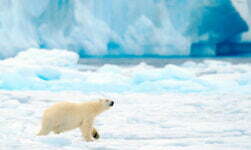 The route will be almost 50 km shorter, and travel time will be cut in half. Yes that's right, in half! The massive reduction in travel time will mainly be achieved by getting rid of up to seven ferry connections, saving massive amounts of waiting time. In addition to the new bridges and tunnels, some sections of the current road will also be upgraded. This reduction in distance, travel time and disruptions will reduce driving costs and time costs for passenger cars, although toll costs will increase temporarily in the toll period. When the toll periods for the entire route expire, the costs for passenger cars will be reduced by one third compared to today’s level. The cost level for heavy vehicles will also be lower than it is today. Have driven that route many times. May make it quicker but will miss the coffee breaks on the ferries!